With August coming to an end, homeowners are getting ready for fall and the back to school season. 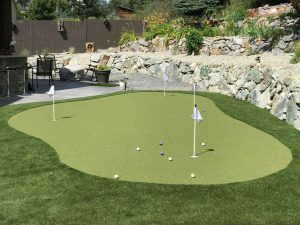 It’s the perfect time to spruce up your synthetic turf! 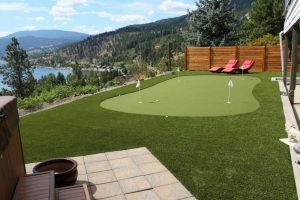 Artificial grass maintenance doesn’t need to be time-consuming or costly with Kelowna’s Synthetic Turf. We provide our clients with all the tools they need for superior artificial grass installations and synthetic turf maintenance. 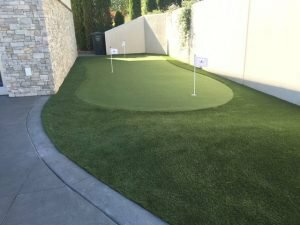 We currently manufacture a complete range of high-caliber synthetic turf, supply premium materials and use our extensive installation experience to do your project right from the ground up. 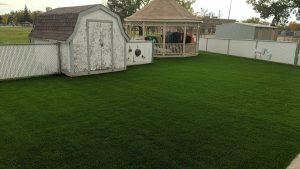 We offer complete artificial grass maintenance for clients that want a refresh. 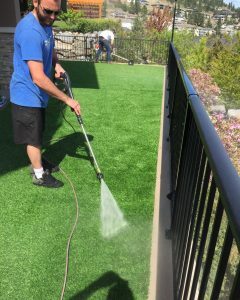 Our refresh includes power wash, removal of debris, and brushing of the synthetic turf. The result is a clean and brand new looking lawn that’ll be the envy of your neighbourhood for the back to school season. A complete refresh typically takes a couple hours and can be scheduled at your earliest convenience. Our maintenance packages are completely optional and purely for aesthetics. For clients and homeowners that live in windy areas, or have several trees nearby, we recommend using a leaf blower to remove fallen debris from the artificial turf. One of their main motivators for purchasing artificial turf is that it requires minimal to no maintenance. It’s virtually maintenance-free year round, which means maintaining a pristine looking lawn takes minimal effort. 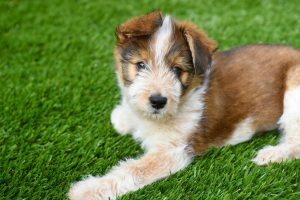 Artificial grass provides homeowners with a green lawn without the hassle of landscaping, lawn upkeep and expensive fertilizers. Save your money and the time it would take you to mow, trim and water your lawn and spend those resources focusing on your hobbies, recreational pursuits, family and friends. We offer a variety of landscaping products to enhance the look of your artificial lawn that does not require upkeep. 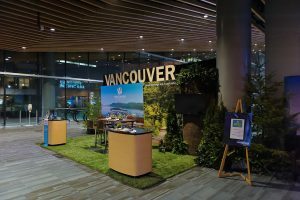 The quality, feel, environmental effects and upkeep of artificial grass continue to improve yearly. As a result, artificial grass provides simple maintenance and exceptional lawn care benefits. 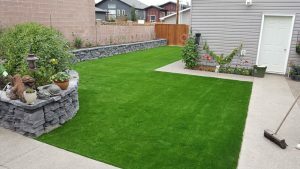 Contact Synthetic Turf for your back to school artificial grass maintenance and reap the benefits of having pristine green synthetic turf year round.